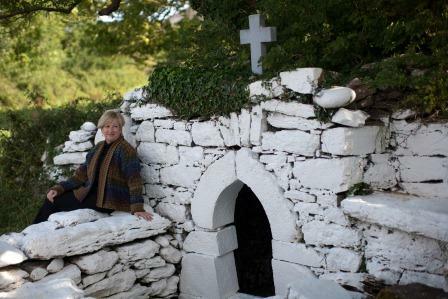 There are 100’s of holy wells all over of Ireland, sacred places since long before they were credited with the Christian saints names they bear today and are well worth a pause and a prayer if you are lucky enough to come across one of them. ‘Tobar’ is the Irish word for well, so anywhere with a name that ends in ‘tubber’ as in Baile an Tobair (the town of the well)or Ballintubber is bound to have one, most likely close to the church (where Pierce Brosnan got married) or graveyard. Others, you will spot these easily enough by the roadside, as they are often adorned with statues, colourful (plastic)flowers and dozens of rosary beads. But many more you will have to ask about locally to get directions and possibly hike over some muddy fields and ditches to get to them. Which will be well worth the trouble (call it penance) as nearly all these holy wells are in stunning locations (the celts, monks, saints knew how to pick them) high up in the mountains, isolated on islands, or in wild and remote places such as the Burren (forty holy wells) which lend themselves to peaceful prayer or contemplation at least. 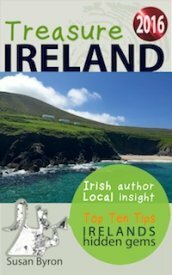 Many are named after St Patrick, the patron saint of Ireland or St Brigid, originally a pagan goddess, or a local saint such as St Colman in Clare and are credited with being a cure for most ailments the most popular being ‘eyes’ and ‘teeth’. Whether that was because of the lack of dentists or the expense of spectacles at the time who knows but these places are still being visited today probably even more so? Perhaps as a cure for depression in these recessionary times or world weary travellers seeking solace in nature where the water (a symbol of new life in many cultures) gushes forth from the earth. People often leave small, if odd? tokens like chocolate wrappers, coins or pieces of cloth tied to the branches of overhanging trees. Which makes you wonder about the lives of the people who have visited over the years, hopefully their prayers were answered and their ailments cured. Go dté sibh slán - May you go safely.